Genuine Ford Falcon BA - BF Steering Column with reconditioned Ignition Switch. 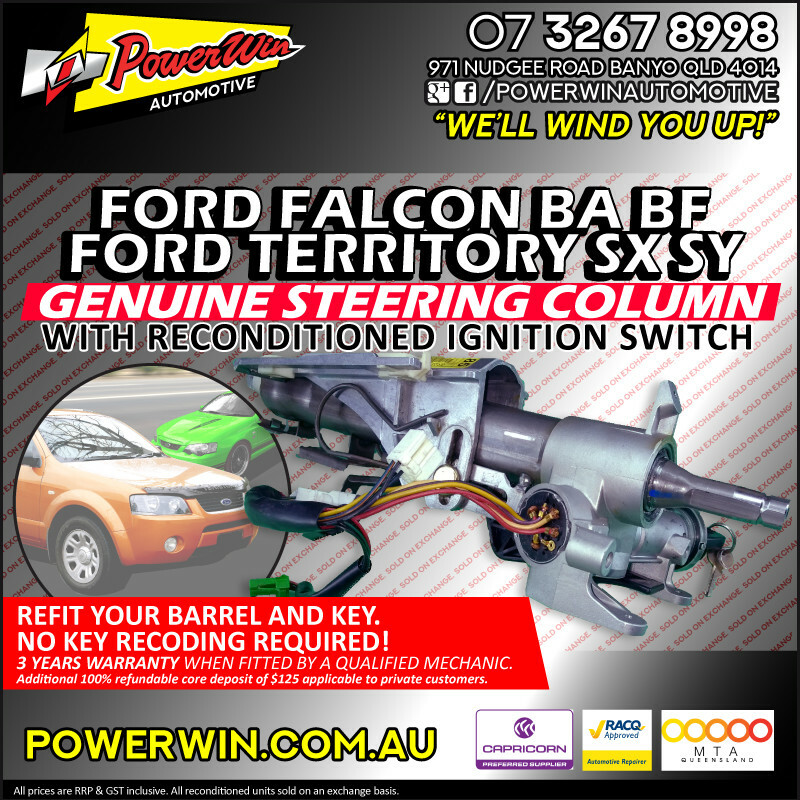 GENUINE OEM Ford Falcon BA - BFSteering Column with RECONDITIONED & STRENGTHENED ignition switch. No Key re-coding required! Use your own barrel and key. * Ignition pig tail has fallen out or apart. We have been reconditioning the ignition switches on these steering columns for over 7 years. We work on an EXCHANGE system where your broken unit is exchanged with our unit at the time of pick up, or once our unit has been fitted if the unit is being dispatched to you#. Step by Step Fitting Guide. The unit is to be fitted by a qualified Automotive Trades Person. Failure to do so may cause failure of components, or serious injury or death. #OUR UNITS ARE SOLD ON AN EXCHANGE BASIS. IF NOT PICKING UP UNIT PLEASE ENSURE CORE DEPOSIT IS SELECTED: Additional charges apply for Premium Delivery (up to 3 days) + 100% REFUNDABLE CORE DEPOSIT of $125.00 which will be refunded once your broken unit and ALL components has been sent back to us using the supplied prepaid Star Track return consignment with tracking (Core Return Connote) via Star Track Express: We send you our reconditioned unit, along with a prepaid consignment label. Once the Steering Column has been fitted, repack the broken unit (core) and all pieces and wiring loom (details included in the box) back in our box, place the return consignment note over the old one, and follow the provided instructions to book a pick up for the return of the core unit. Once the core unit has been received we will process your $125.00 core deposit refund within 48 hours. FALCON BF BF II series including XT wagons. 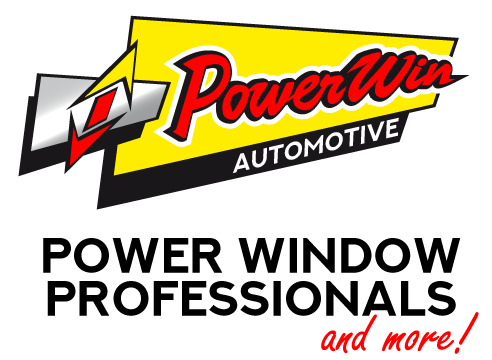 Established 2001 we're a Brisbane based Window Regulator and Motor specialists, originating from a Ford wrecking yard. Automotive Trade Discount available (Automotive Trade Catalogue Password). Call 07 3267 8998 or request a Catalogue Password here.